A half century before NFL quarterback Colin Kaepernick took a knee, gold medal sprinter Tommie Smith raised a fist at the 1968 Summer Olympic Games in Mexico to protest abuse of human rights around the world and in response to the struggle for civil rights in the United States. His historic gesture, and its reverberations over the past 50 years, will be explored in this important exhibition organized by the High Museum of Art. Closing February 3, 2019. Through the Banks of the Red Cedar, produced by his daughter, Maya Washington. Immediately following the screening, the Hall will host a Q&A with Gene and Maya Washington. Through the Banks of the Red Cedar tells the story of how Michigan State Head Coach Duffy Daugherty gave 23 African American young men the opportunity of a lifetime in 1963. The daughter of football legend Gene Washington uncovers how the first fully-integrated college football team in America changed the game forever. The Gullah are a distinctive group of Black Americans from South Carolina and Georgia in the southeastern United States. They live in small farming and fishing communities along the Atlantic coastal plain and on the chain of Sea Islands which runs parallel to the coast. Because of their geographical isolation and strong community life, the Gullah have been able to preserve more of their African cultural heritage than any other group of Black Americans. Some of the nation’s greatest heroes will be highlighted throughout museum programs. Visit the Science Bar, Art Studio, and Build it Lab where guests will have the opportunity to learn about prominent African Americans in the fields of Science, Technology, Engineering, Art and Science! Films about Africa and the Diaspora that informs and inspires dialogue. Atlanta’s Largest Mardi Gras Party (costume encouraged) parading ticket goers around for an afternoon of adventure and exploration using the Atlanta Streetcar. Get your ticket to tour the Atlanta historical district of Edgewood Ave, Fairly Poplar District and Centennial Olympic Park while stopping off at any of the 40+ participating bars & restaurants located Downtown and in the Old 4th Ward. Lots of New Orleans themed food & drink specials plus complementary drink shots, beads & more! The earliest great kingdom of West Africa was Ghana. It was wealthy, powerful, and well respected by surrounding kingdoms. Ghana’s power came from the trading of gold, salt, and other items with its neighbor. In 1065 Tunka Manin was the King of Ghana. So rich was his kingdom, that Tunka Manin was called lord of the gold. So powerful were his warriors that he was also called warrior king or Ghana. His kingdom then came to be known as Ghana. Ghana was an advanced civilization located on rolling grasslands between the jungles of the Congo and the dry Sahara. The boundaries of the kingdom were not fixed because they change with the fortunes of King Tunka Manin. The people built cities, farmed the land, raised their families, and lived peacefully with their neighbors. Tunka Manin’s mighty army and wealth were partly responsible for Ghana’s greatness. The riches earned by the trade routes he controlled contributed also. He recognized that his kingdom needed salt, and his lands were poor in this mineral. To the people of West Africa, the value of salt was almost equal to the value of gold. It was not only used to preserve food. It had to be eaten regularly to help keep moisture in the body. Tunka Manin knew of a way to obtain salt and build up his own supplies of gold. Ghana lay between huge salt mines in the north valuable gold mines in the south. So he allowed trade on his lands between people of the south and people of the north. Caravans of camels were a common sight in ancient Ghana. Traders from the north would travel over the desert for nearly six month to reach Kumbi (capital of Ghana). They carried huge loads of goods to trade. When the caravans arrived, the northern traders beat a drum to alert the merchants of their approach. The silent trade would begin. This silent trade was necessary because there was no common language spoken between many of the different peoples of Africa. Most trading was done quickly and silently. The northern traders laid their salt, fine cloths, wheat, and dried fruits on the ground. Then they moved out of sight to wait. The merchants of the south came forward and looked over the goods. Leaving their payment of gold, they stepped away also. Then the traders approached again and accepted the payment. Nodding to each other, they beat the drum to signal that the trade was complete. All of this happened without a single word being spoken. Kumbi became a rich and colorful market center. Merchants from all over the northern and western Africa came there to barter or trade goods. King Tunka Manin made money on every trade. He set up his own tax laws. Every buyer or seller paid a tax to him on the goods they traded. Tunka Manin’s kingdom grew very wealthy. Products other than salt or gold were also traded in the crowded markets of Kumbi. People who had been captured in wars and enslaved by their captors were sold to passing caravans. This did not trouble the people of Kumbi, or other people since this had taken place throughout the world since the beginning of time. Most captives became servants or farm laborers. Many were not enslaved forever and could earn or buy their freedom. Others were freed by becoming members of the families to whom they were enslaved. At its peak, ancient Ghana had a population of several million people and a territory of about 250,000 square miles. 2019 will mark the 400-year anniversary of the first enslaved Africans in the United States in 1619. Widely recognized as the start of the Trans-Atlantic Slave Trade (The Maafa) where millions of our ancestors were kidnapped and brought to America as free labor thus beginning the African-American experience. The Gullah are a distinctive group of Black Americans from South Carolina and Georgia in the southeastern United States. They live in small farming and fishing communities along the Atlantic coastal plain and on the chain of Sea Islands which runs parallel to the coast. Because of their geographical isolation and strong community life, the Gullah have been able to preserve more of their African cultural heritage than any other group of Black Americans. They speak a creole language similar to Sierra Leone Krio, use African names, tell African folktales, make African-style handicrafts such as baskets and carved walking sticks, and enjoy a rich cuisine based primarily on rice. Discover the Cultural Connection, Nomadic Noni can customize a Gullah Getaway for your group. See below choice experiences for Black Heritage Month 2019. Ralph Mark Gilbert Civil Rights Museum a photographic and interactive exhibits memorializing Savannah’s own civil rights struggle. Oldest Black Church in North America since 1773. The pews were made by enslaved people which are nailed into the floors. The pews have markings written in the African dialect known as “Cursive Hebrew”. The ceiling of the church is in the design of a “Nine Patch Quilt” which represented that the church was a safe house for enslaved people. Nine Patch Quilts was also a map and guide informing people where to go next or what to look out for during their travel. The holes in the floor are in the shape of an African prayer symbol known as a Congolese Cosmogram. In Africa, it also means “Flash of the Spirits” and represents birth, life, death, and rebirth. Beneath the auditorium floor is a subfloor which is know as the “Underground Railroad” with 4 feet of height between both floors. People would feed those hiding through the holes to keep them nourished while in hiding. The entrance to the Underground Railroad remains unknown. After leaving the tunnel, the former enslaved people would try to make their way far north as possible. The church served as the largest gathering place for blacks and whites to meet during the time of segregation. A little-known monument stands in the center of Franklin Square. Savannah’s Haitian Monument memorializes the contributions of the Chasseurs-Volontaires de Saint-Domingue, the Haitian volunteer regiment that fought for America in the Siege of Savannah during the Revolutionary War. The only colonized nation that claimed a successful slave revolt, Haiti was a kindred spirit to revolution. The Haitian regiment, one of the only black regiments, defended Savannah valiantly with many of their foot soldiers making the ultimate sacrifice for the American cause. Though their service was never formally recognized by the country they fought for, Savannah installed the monument to atone for this critical shortcoming of its parent nation. Learn about the Gullah culture direct from residents who grew up in a small, close-knit community. Discover the contribution of Africans in the creation of the colony of Georgia, the State of Georgia, and the City of Savannah; secret schools; spiritual and cultural highlights of Africans in Savannah. The whole stretch of Savannah’s famous River Street brims with Black history. The cobbles composing the street were painstakingly laid by the hands of enslaved Africans. Telling holes and chain remnants that bound slaves captive mar the walls of the brick bays that line Factors’ Row. A historic tour down River Street will reveal untold truths about the strip’s dark past, but one important beam of light stands in tribute to The Emancipation. Erected just behind the Hyatt Hotel in 2002, the African American Monument was designed and installed by a SCAD professor-student duo. The monument depicts a family of four in close embrace with the chains of slavery lying at their feet. The stone base is inscribed with an inspiring passage from the late Maya Angelou. The monument is an important place to stop and pay respect to the slave families who built Savannah by hand. Explore African and Haitian culture through Art. Experience a Taste of Gullah, authentic Gullah dishes such as Okra Gumbo, Conch Stew, friend shrimp dusted in traditional Gullah seasonings and classic barbecue favorites like char-grilled chicken and ribs. Enjoy The Arts Ob We People: Winter Exhibition and Sale, a display of original work by emerging and leading artists that represents the life of Gullah people on Hilton Head Island and the surrounding community. Artists will be onsite at various times throughout the exhibit. Explore “Through the Eyes of Gullah Elders”. A feature-length documentary featuring Gullah elders, the descendants of freedmen, based on the historic Hilton Head Island in South Carolina. They share their personal stories about their communities, farming, fishing, upbringing, church, education, Northern Migration, food ways, language and the development that came with the construction of the bridge in 1956 and how it greatly impacted their lives. Soul Food and Friends Cooking Classes. Great cooking is about more than recipes—it’s about techniques. In this evening class you’ll work together with other students in a fun, hands-on environment led by authentic Gullah Chefs. Get tons of hands-on practice on preparing lowcountry favorites using locally sourced foods! Explore Gullah communities on Hilton Head Island when the island’s landscape was only farmlands, trees, dirt roads, wildlife and natural waterways throughout and around the island. The distinctive Gullah language, traditional foods and recipes, music, religion, social structure and folktales will all be woven into an interactive educational and entertaining experience. You will come away with an understanding of how the descendants of former enslaved people developed and maintained these communities on the then-isolated island. The Gullah Market: An Arts, Crafts and Food Expo. The annual Gullah Market offers cultural demonstrations, authentic Gullah and African crafts and food for sale, as well as an offering of traditional storytelling, music entertainment and the Celebration of African American Authors. Featured performances by the Gullah Geechee Ring Shouters, Wona Womalan West African Drum and Dance Ensemble, Gullah Ooman Louise Cohen and more! For almost twenty years Theresa Noni Charles has been creating and coordinating cultural and educational programs and services that focus on Africa and the Diaspora. From weekend getaways to youth and adult excursions abroad. To developing community programs and hands on learning opportunities. The journey continues as Nomadic Noni embarks on a world-wide adventure connecting cultures through educational experiences. 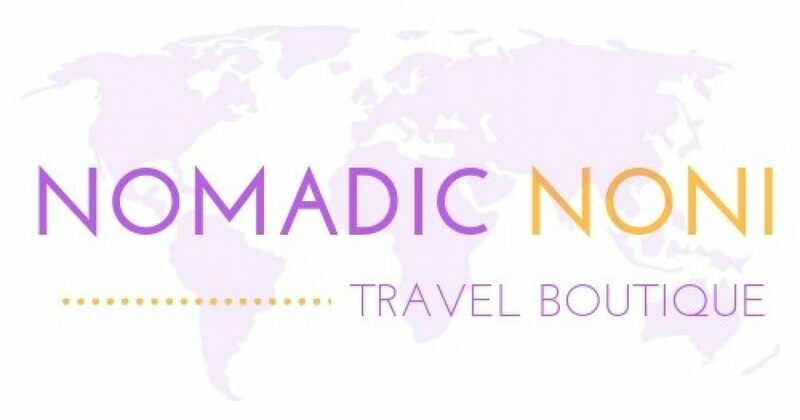 Join the journey sign-up for our e-newsletter email info@nomadicanoni.com. West African religions came to Brazil with the enslaved Africans believing in deities or orishas. Each orisha is endowed with its own personality and unique powers, and was associated with a particular set of natural elements. The Portuguese however, insisted that all new arrivals be forcibly converted to Catholicism. The struggle gave rise to Candomble, a blending of Catholicism and the African beliefs. Orisha are guardian spirits. The Lucumi Yoruba believe in one Higher Power. They call him Olodumare. They believe that each person has a Guardian Spirit called an “Orisha”. Orisha are aspects of the Supreme Being that are manifested as forces of nature. When Yoruba slaves were brought to the New World they brought their beliefs with them. This belief system is known as Lukumi in Cuba, and Puerto Rico, though it is often referred to as “Santeria”. These beliefs are known as Candomble in Brazil, and Shango Baptist in Trinidad. Necklaces (Ilekes) every color is known to denote a specific orisha. Ogún is the god of iron, war and labor. He colors are green and black. Obatalá is the kindly father of all the orishas and all humanity. His color is white. Oyá is the ruler of the winds, the whirlwind and the gates of the cemetery. She is also known for the color of maroon. Oshún rules over the sweet waters of the world, the brooks, streams and rivers, embodying love, fertility. She also is the one we most often approach to aid us in money matters. She is the youngest of the female orishas but retains the title of Iyalode or great queen. She recognizes herself in the colors yellow and gold. Yemayá lives and rules over the seas and lakes. She also rules over maternity in our lives as she is the Mother of All. Her colors are blue and white, and she is most often represented by the fish who are her children. Shangó perhaps the most ‘popular’ of the orishas, Shangó rules over lightning, thunder, fire, the drums and dance. He is a warrior orisha with quick wits, quick temper and is the epitome of virility. His colors are red and white. Theresa Noni Charles, Cultural Travel Enthusiast. Educator. Explorer. The following are five popular blocos in Salvador. Each represents a particular district or community within the city. The people of those communities feel a part of their respective blocos and follow them in a great mass during Carnaval. Each of these blocos is identified by symbols, colors, clothing, and unique instrumentation. The first bloco afro was founded in 1974 in the Salvador district of Curuzu/Liberdade by Antonio Carlos “Vovô” (“Grandfather”). It was Vovô who developed many of the concepts that defined future blocos afros, inlcuding the concept that each bloco have its own sound. Vovô ceated Ilê Aiyê’s first unique rhythm, influenced by the music of Candomblé. Ilê Aiyê words and music still speak of Africa, negritude, and the orixás (Yoruba gods). Their colors are yellow, white, red, and black. Their designs feature simple, African-style drawings of people, animals, patterns, and symbols. The dance style is West African, and the dancers wear beautiful outfits of loose, colorful cotton, corn-rolled hair, and shells. Surdos and hand drums (including Remo jembes and timbals) dominate the instrumentation, with the ever-present snare drum and leads on repiques. Ilê sometimes use agogô to integrate African bell patterns. Like Ilê Aiyê, Malê Debalê has remained a traditional bloco afro, producing spiritual music of percussion and voice, and steering clear of pop music. They were founded in the community of Itapuã in 1979. Their music is powerful and political, with themes closer to the earthly issues facing black in Bahia than Ilê Aiyê’s chants to the orixás. Because they represent a seaside community, one of the trademarks of this bloco is the use of water themes in their performances and music. Malê Debalê’s colors are red, green, yellow, and black. Olodum’s music evolved from percussion/voice-only samba reggae increasingly towards axé in the 1990s. Today, their concerts feature guitar, bass, keyboards, and brass, along with the timbales, repique, tarol, and five tightly-tuned surdos. The band colors are black, yellow, red, and green, painted onto their trademark surdos. This bloco was founded in 1982, and they are big followers of the Rastas in Jamaica. Their band colors are the green, black, and yellow of the Jamaican flag. The music today features a very wide range of styles, including samba reggae, axé, rock, hip-hop, and funk. Their name comes from a dance used in Candomblé to call the god, Oxalá, orixá of mystery, wind, and bells. Songwriter/singer/producer Carlinhos Brown formed Timbalada out of the Candeal ward in 1992. The distinctive instrument of Timbalada is its namesake, the timbal. This was a new (perhaps Brown) invention that imitated the jembe, but with more volume. Lightweight and cheap, it has become a favorite all over Brazil. Its most important feature is its loudness. It may be the loudest hand drum existence, an important requirement when competing with piercing stick drums such as repiques. Surdos also play a big role in Timbalada, along with timbales, shakers, and a new small repique called a bacurinha. Important to Caribbean festival arts are the ancient African traditions of parading and moving in circles through villages in costumes and masks. Circling villages was believed to bring good fortune, to heal problems, and chill out angry relatives who had died and passed in the next world. Carnival traditions also borrow from the African tradition putting together natural objects (bones, grasses, beads, shells, fabric) to create a piece of sculpture, a mask, or costume-with each object or combination of objects representing a certain idea or spiritual force. Feathers were frequently used by African in their motherland on masks and headdresses as a symbol of our ability as humans to rise above problems, pains, heartbreaks, and illness-to travel to another world to be reborn and to grow spiritually. Today, we see feathers used in many, many forms in creating carnival costumes. In many parts of the world, where Catholic Europeans set up colonies and entered into the slave trade, carnival took root. Brazil, once a Portuguese colony, is famous for its carnival, as is Mardi Gras in Louisiana (where African-Americans mixed with French settlers and Native Americans). Carnival celebrations are now found throughout the Caribbean in Barbados, Jamaica, Grenada, Dominica, Haiti, Cuba, St. Thomas, St. Marten; in Central and South America in Belize, Panama, Brazil; and in large cities in Canada and the US where Caribbean people have settled, including Brooklyn, Miami, and Toronto. Even San Francisco has a carnival! The first time I traveled to Ghana I thought I packed everything but realized not the most important thing until I arrived…. insect repellent…I was eaten alive. You will hear this a lot but it’s true, don’t drink the local water! I was traveling solo and ran out of bottled water while traveling from Accra to a rural area 3 hours away. I just knew the school I was visiting would have a nice cold bottled water waiting for me. I was excited with anticipation but was greeted with local water because they ran out of bottled water. I made an impaired (near dehydration) decision to drink the local water. And the result was me being laid up in a hotel for two days to recuperate because I was too sick to travel back to Accra. Oh, and let’s not forget travelers’ diarrhea, all I’m going to say is don’t leave home without those pills. These were some of my lessons learned years ago during my first two trips to Ghana. Enjoy your adventure but heed my cautionary tale and safeguard your travels. Health Tip #1: Take a prescription anti-malaria drug. Holistic Perspective: The Nim Tree has medicinal attributes against malaria (Nim Tea). Health Tip #2: Spray yourself and your clothing with insect repellent containing 30 percent DEET. Health Tip #3: Wear long light-colored pants and shirts with long sleeves in the evenings. Health Tip #4: Do Not eat food from street vendors. Boil it, cook it, peel it or forget it. Make sure food is well cooked. Health Tip #5: Only drink sealed bottled water. No ice cubes. Health Tip #6: Use Sunscreen with at least SPF 15. Health Tip #7: Don’t forget to pack your medications along with a personal first aid kit.